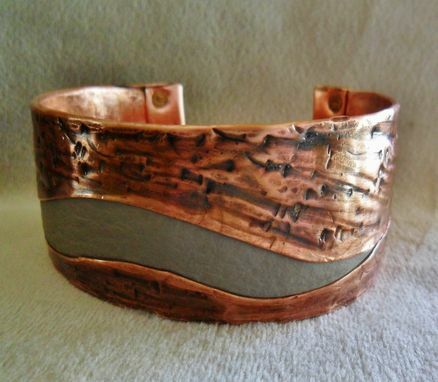 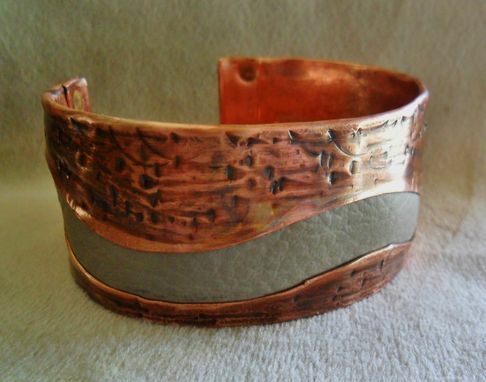 Beautiful light color grey leather sits down the center of a textured copper cuff bracelet. 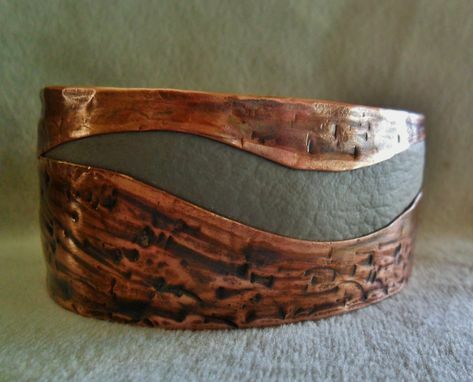 A light patina was applied for more dimension to the metal. 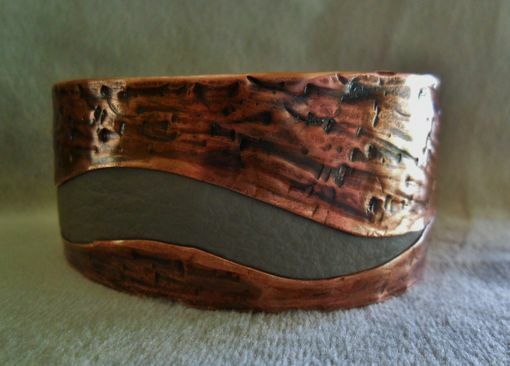 Can be for a man or a woman.